ECML PKDD 2018 provides an excellent opportunity to engage and network with leaders and innovators in the sector. At Beat we are disrupting the way cities move by offering faster, easier, more affordable and innovative ride-hailing services in cities worldwide. We do this by embracing the state of the art in machine learning and big data and by being agile, working in small autonomous teams. Ensure you visit their exhibition during the breaks to learn more. 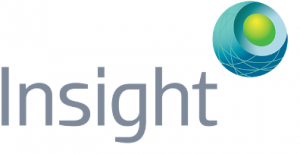 The Fraunhofer Institute for Intelligent Analysis and Information Systems IAIS is a leading scientific institute specializing in applied research into machine learning and artificial intelligence. 250 talented and inspired data scientists and IT experts are driven by value from intelligently linked, enriched and applied data. Scientists at IBM Research – Ireland, one of 12 global IBM Research laboratories, are helping clients make better decisions using an array of AI – enabled technologies to solve real world problems and discover new growth opportunities. YiXue Inc. is a leading AI-based adaptive learning service provider for K-12 students in China. Headquartered in Shanghai, China, YiXue offers after-school courses for Math, English, Chinese, Physics and Chemistry subjects, powered by its proprietary AI adaptive engine and custom-built courseware. Students on YiXue’s AI platform enjoy a supervised adaptive learning experience that has been proven to improve both efficacy and student engagement across YiXue’s online learning platform and offline learning centres. Zalando is Europe’s leading online fashion platform, connecting over 23 million consumers with more than 2,500 fashion brands via data-based, intelligent technology solutions. Ensure you visit the Zalando exhibition during the breaks to learn more. ASML is the world’s leading provider of lithography systems for the semiconductor industry. 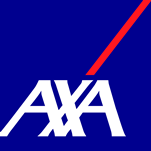 AXA, a world’s leading insurance, uses data & advanced ML to protect people. Join our research team! Cambridge University Press is a not-for-profit organization that advances learning, knowledge and research worldwide. It is an integral part of the University of Cambridge and for centuries has extended its research and teaching activities through an extensive range of academic books, journals and digital products. Visit our stand for 20% off titles on display. Nokia Bell Labs is the world-renowned industrial research arm of Nokia. Over its 90-year history, Bell Labs has invented many of the foundational technologies that underpin communications networks and all digital devices and systems. This research has resulted in eight Nobel Prizes, three Turing Awards, three Japan Prizes, a plethora of National Medals of Science and Engineering, as well as an Oscar, two Grammys and an Emmy award for technical innovation. Nokia Bell Labs continues to conduct disruptive research focused on solving the challenges of the new digital era, defined by the contextual connection and interaction of everything and everyone. SIG is a global quantitative trading firm founded with an entrepreneurial mind-set and a rigorous analytical approach to decision making. We commit our own capital to trade financial products around the world. Building virtually all of our own trading technology from scratch, we are leaders and innovators in high performance, low latency trading. Our traders, quants, developers, and systems engineers work side by side to develop and implement our trading strategies. Each individual brings their unique expertise every day to help us make optimal decisions in the global financial markets.